Several days after the Camp Fire began, smoke continued to spread widely across northern California. 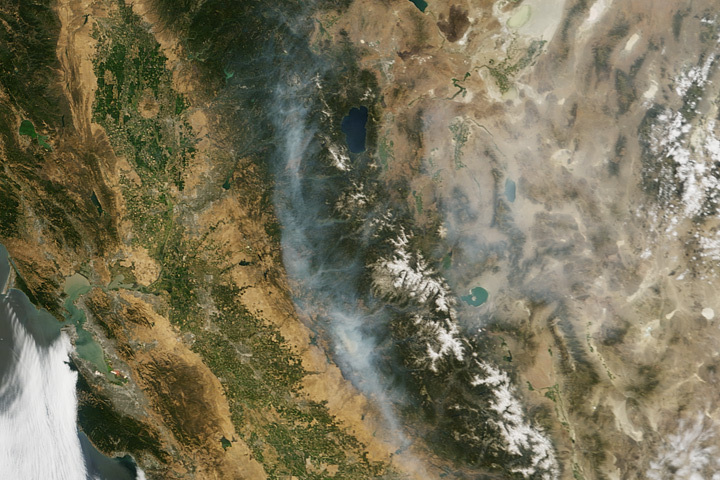 Around the time that the Moderate Resolution Imaging Spectroradiometer (MODIS) on NASA’s Terra satellite acquired this natural-color image on November 14, 2018, air quality sensors in many parts of northern California measured unhealthy to hazardous levels of pollution, according to data from the Environmental Protection Agency’s Air Now web portal. Responsible for at least 48 deaths and the destruction of at least 8,000 structures, the Camp Fire is now the deadliest and most destructive fire in California history, according to Cal Fire statistics. 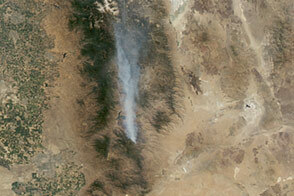 NASA Earth Observatory image by Joshua Stevens, using MODIS data from NASA EOSDIS/LANCE and GIBS/Worldview. Caption by Adam Voiland. In many areas, air quality deteriorated as smoke from the destructive fire spread widely across northern California. Cal Fire (2018, November 14) Statistics. Accessed November 14, 2018. InciWeb (2018, November 14) Camp Fire. Accessed November 14, 2018. 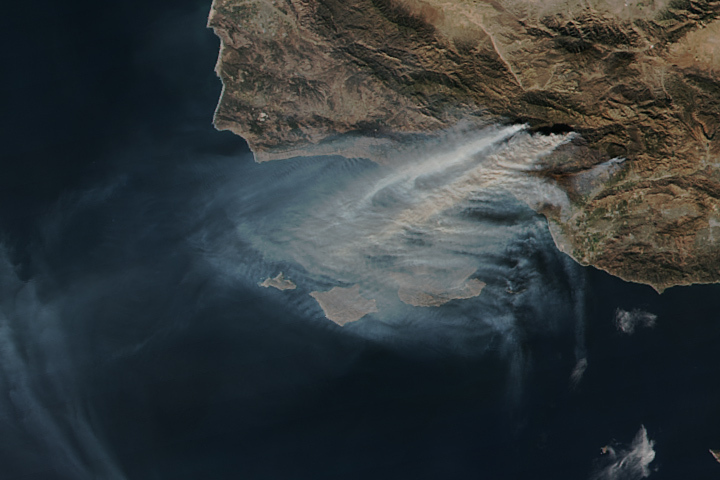 NASA Earth Observatory (2018, November 14) Satellites and Ground Sensors Observe Smoke Blanketing California. 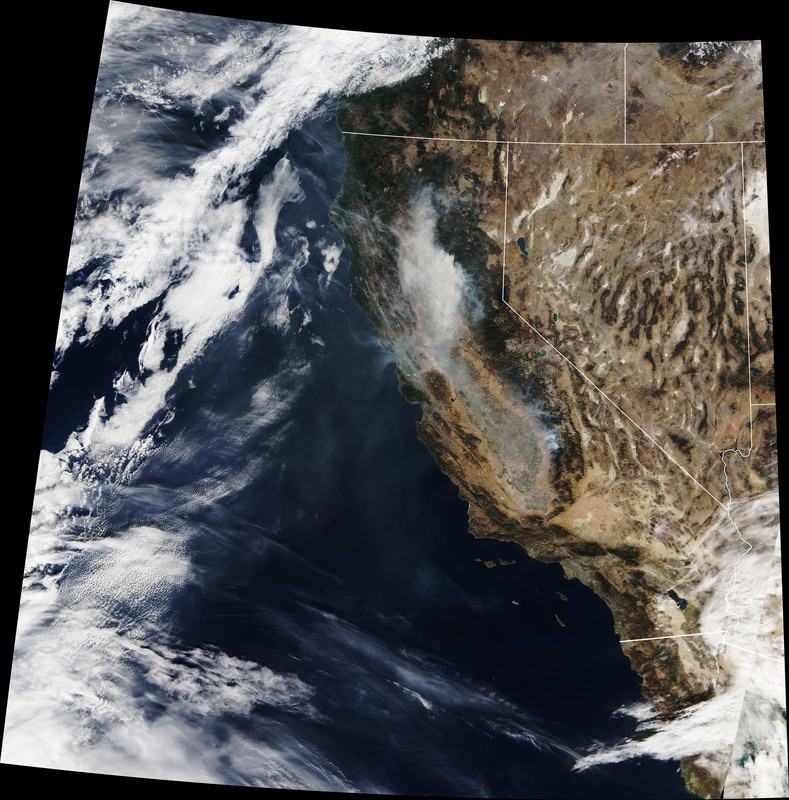 NASA Earth Observatory (2018, November 14) Fire Season in the Western United States. San Francisco Chronicle (2018, September 7) California Wildfires. Accessed November 14, 2018.